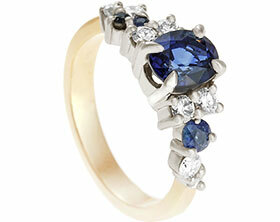 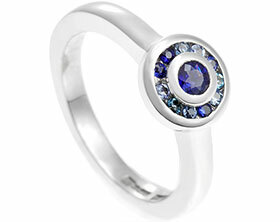 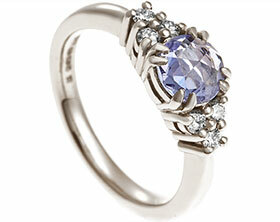 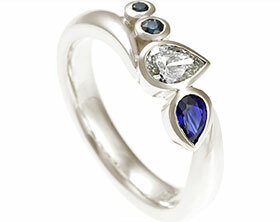 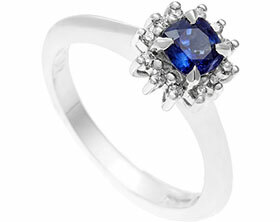 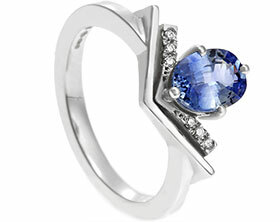 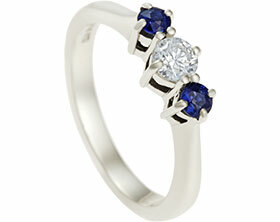 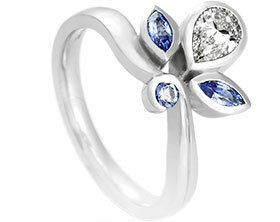 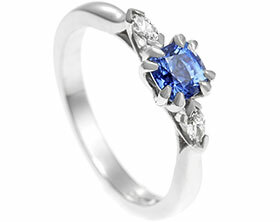 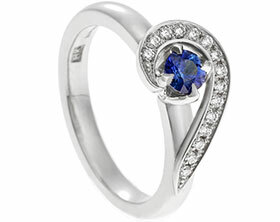 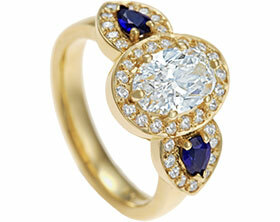 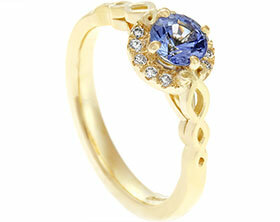 Manpreet contacted us after seeing an unusual diamond maccle ring that we had previously made. 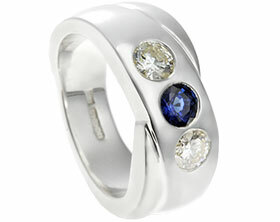 He liked the concept of using a rough stone and knew that it would suit the taste of his partner Ashley. 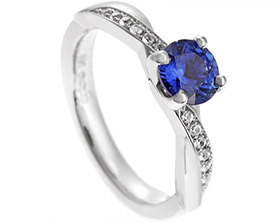 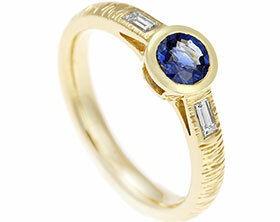 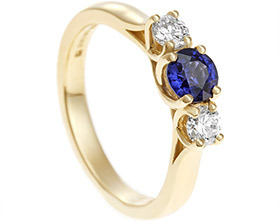 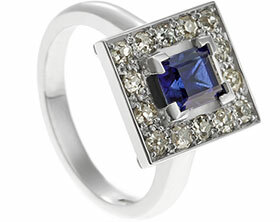 He decided on a rough sapphire which was something we had never worked with before, but we sourced one for Manpreet which was then specially cut to fit within a setting. 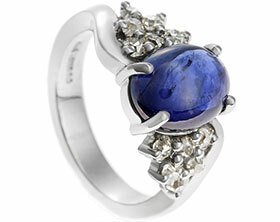 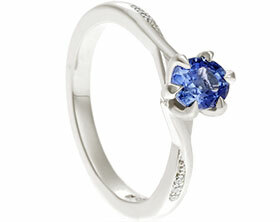 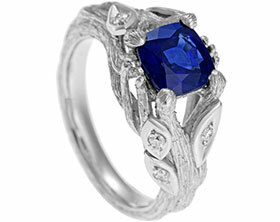 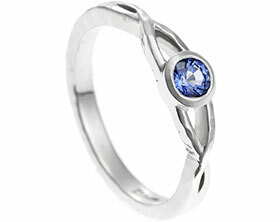 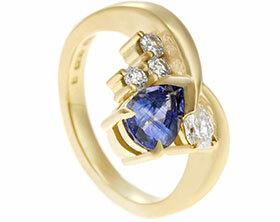 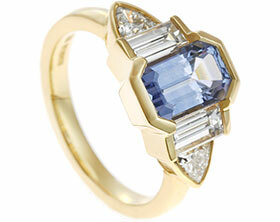 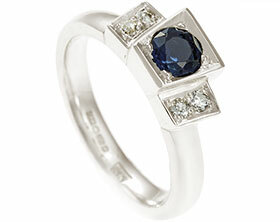 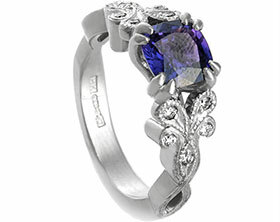 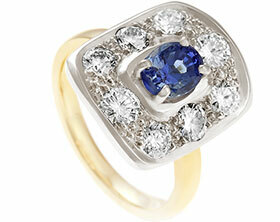 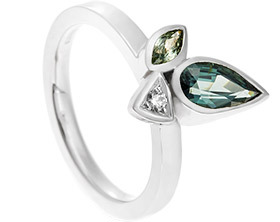 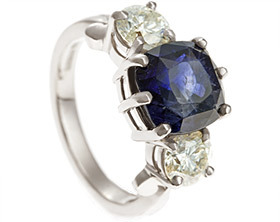 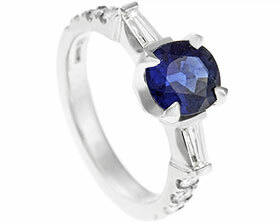 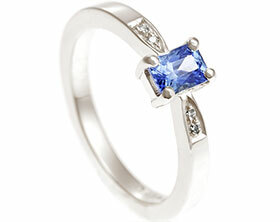 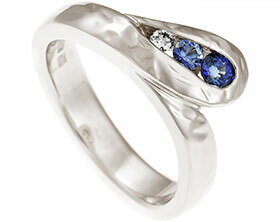 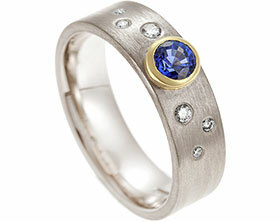 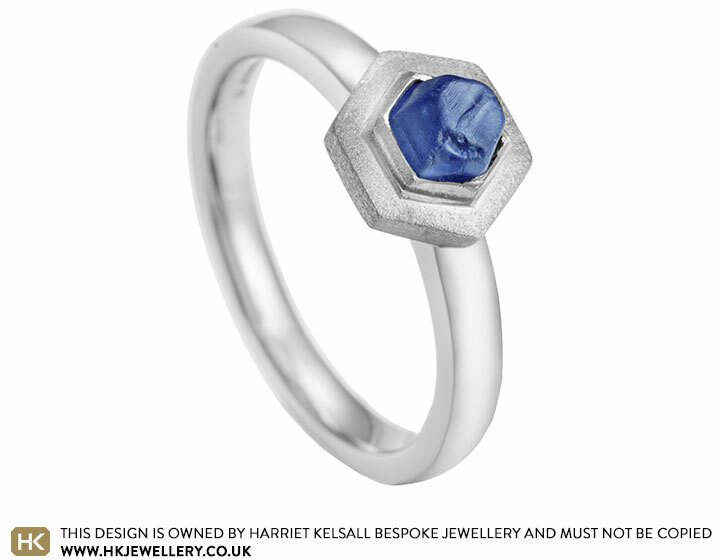 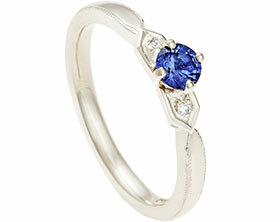 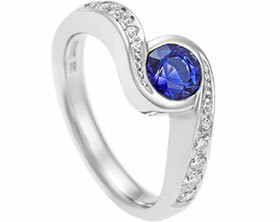 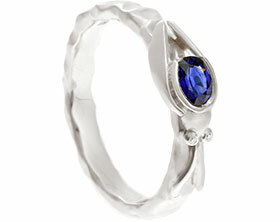 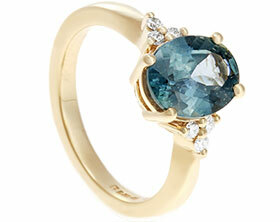 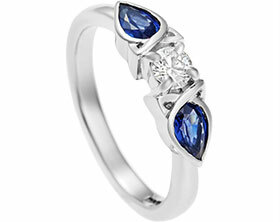 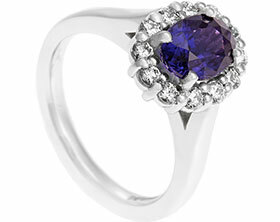 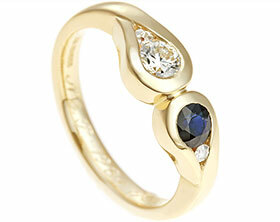 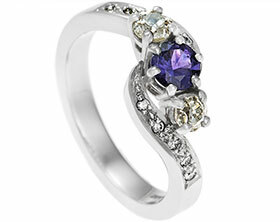 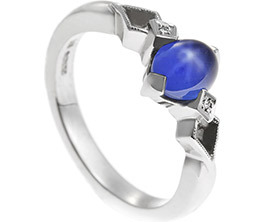 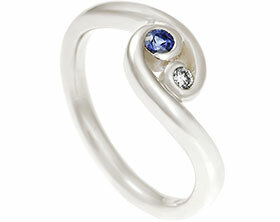 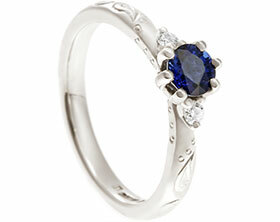 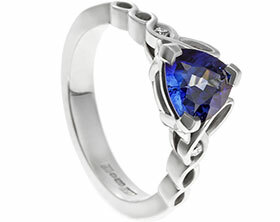 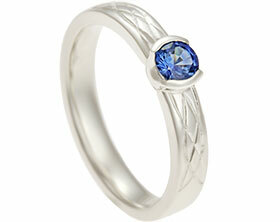 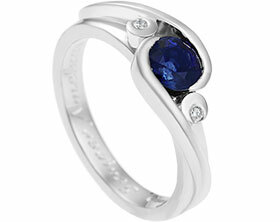 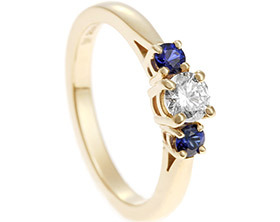 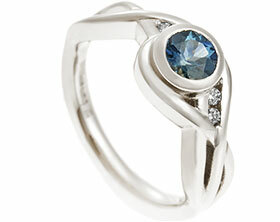 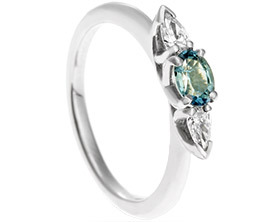 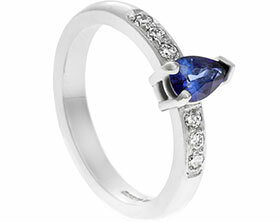 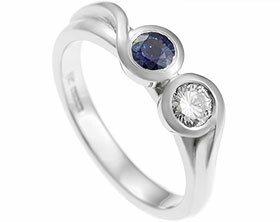 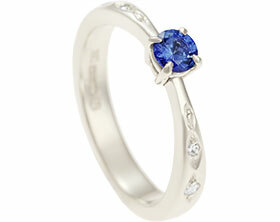 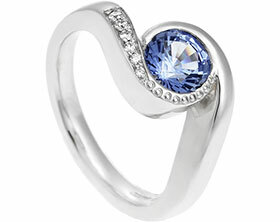 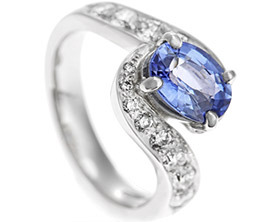 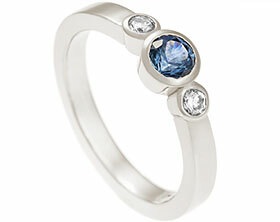 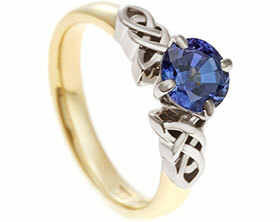 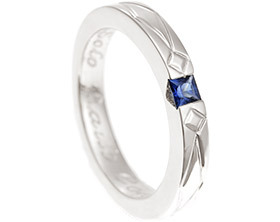 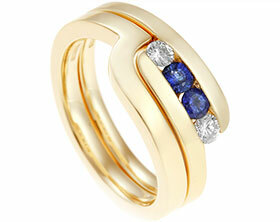 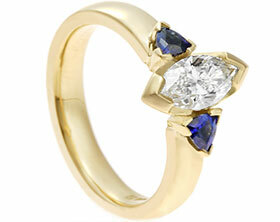 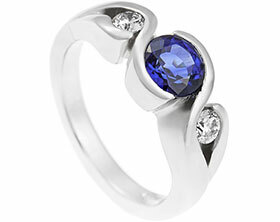 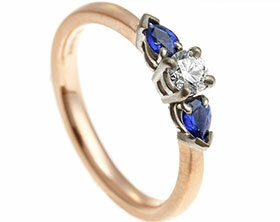 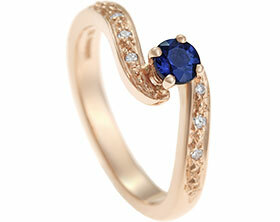 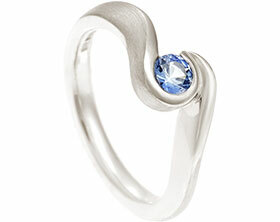 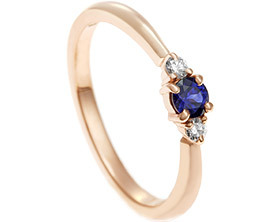 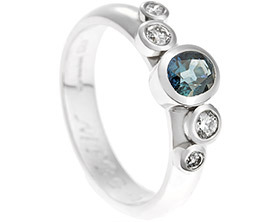 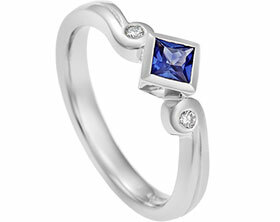 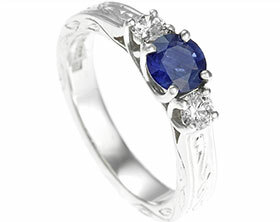 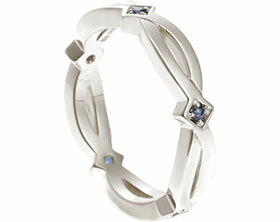 The final design has a smooth band but a rough satin finished setting to complement the stone. 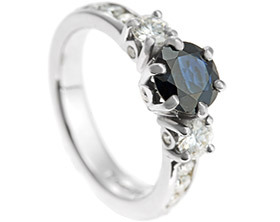 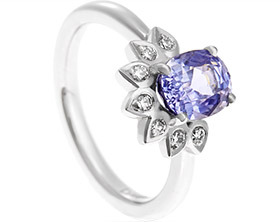 The ring was made with Fairtrade 18 carat white gold which was important to Ashley's interest in ethical principles.